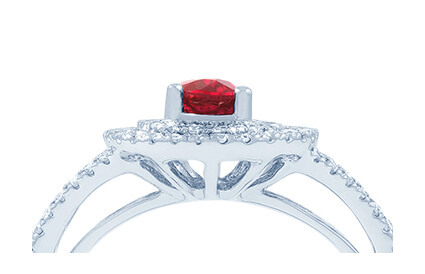 Ruby rings are famed for their deep and enticing reds. The sublime designs here at Diamond Boutique not only boast richly warm tones but shimmer with outstanding clarity. One of the world’s four precious stones, rubies are a popular choice amongst newlyweds thanks to the gem’s opulent colour, but are also a coveted option for eternity and engagement rings. Peruse our selection below and discover your perfect ruby ring today. Alternatively, we offer a custom design service if you’re looking for a bespoke ring for that special occasion. Contact us today on +44 (0) 203 6959 885 for more details.